Bosch and KitchenAid dishwashers are the two most compared dishwashers, maybe even in all of the appliance industry. If you are looking for a dishwasher between $599-$1,500, then these two brands will be a consideration. Both brands have evolved. KitchenAids' latest model KDTE334GPS has become quieter addressing their previous known weakness. While the Bosch SHXM98W75N has become more versatile in their design, addressing their weakness. 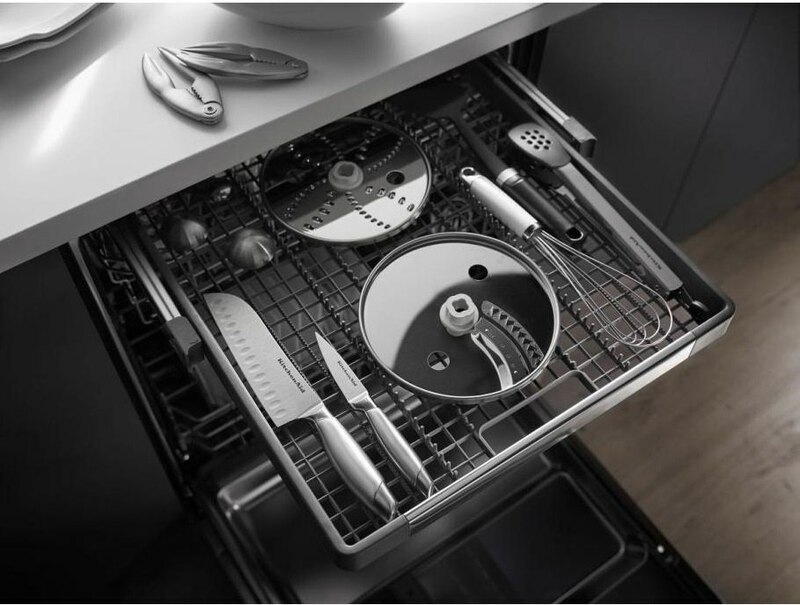 In this article, you will learn about both companies, their dishwashers, features, and reliability. Then we will address which may be right for you and your family. A great iconic home appliance since 1919 by Hobart Corporation with their mixer. 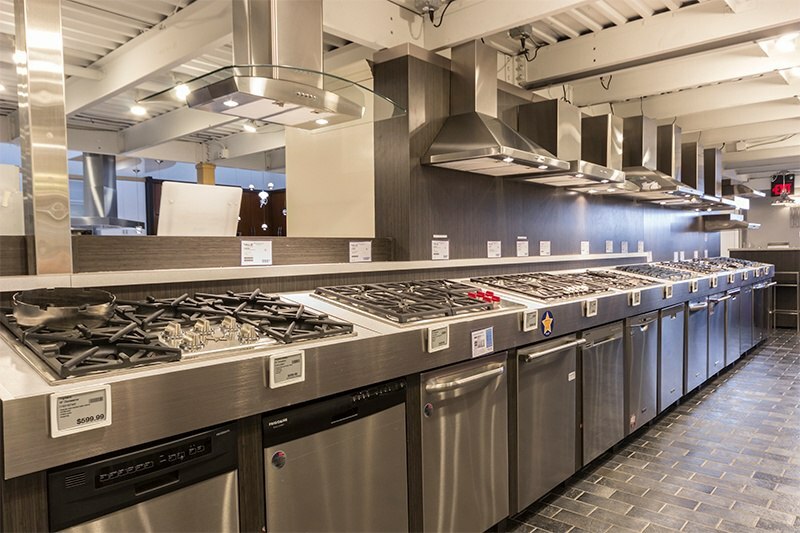 Now they are known as an affordable luxury brand in kitchens under the Whirlpool Corporation. KitchenAid's early dishwasher changed the dish washing business because of their solid commercial design. KitchenAid's weakness was noise, especially when Bosch and Asko started importing quiet dishwashers into the US. While it cleaned well, most people had to leave the house or put the washing cycle on delay to wash in the middle of the night. The latest model finally addressed that issue by dropping to a noiseless 39 decibels. Bosch dishwashers are made in North Carolina, even though they're based in Germany. Bosch is part of the B/S/H group (Bosch and Siemens Home Appliance Group), the 3rd largest home appliance company in the world. Today, they have created one of the quietest dishwashers at 39 dbs. 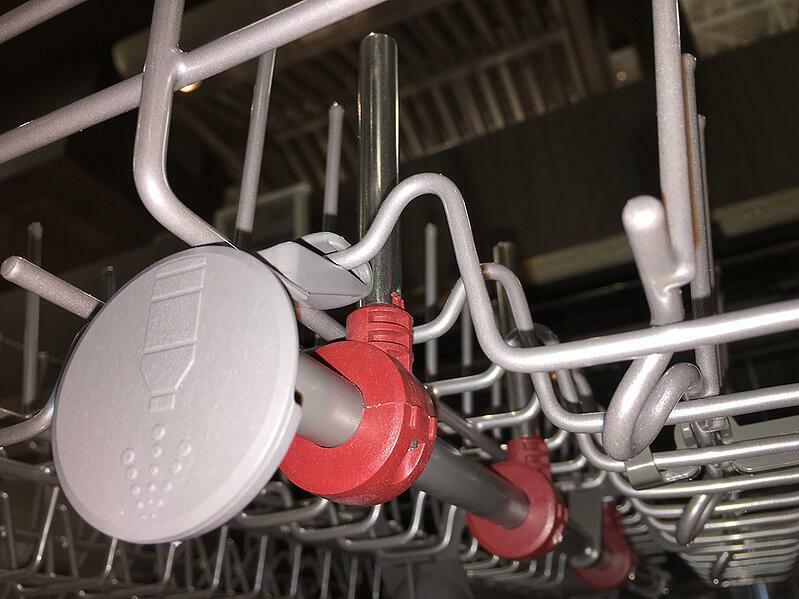 Bosch latest MyWay Rack recreated the top rack to fit larger and deeper bowls rather than just cutlery and utensils. MyWay™ gives you the industry's largest 3rd rack loading capacity. The rack provides the perfect space for large utensils and ramekins in the center while providing space for wine glasses on the sides on the middle rack. RackMatic® allows for an adjustable upper rack with three height adjustments and up to nine possible rack positions. Used in combination with a wash cycle, the Extra Dry option raises the temperature and extends the drying time to further enhance drying results. The AquaStop® system contains leaks through a precisely engineered tub and sensor system that works with the solid molded base. If a leak has occurred, it shuts down operation and automatically pumps out water to avoid contact with the floor. Delivers the best drying performance without a rinse aid by using a recessed heating element and a fan to draw moisture out of the wash tub when using either the ProDry™ or Extended ProDry™ Options. Provides spray nozzles in the upper rack that can be placed deep inside tall or odd-shaped items like bottles, glasses, and vases to thoroughly clean them. Each nozzle is adjustable so it can be positioned to accommodate a wide variety of dishes. Resists smudges and fingerprints. The specialized coating for stainless steel is easy to clean with just water and a soft cloth. 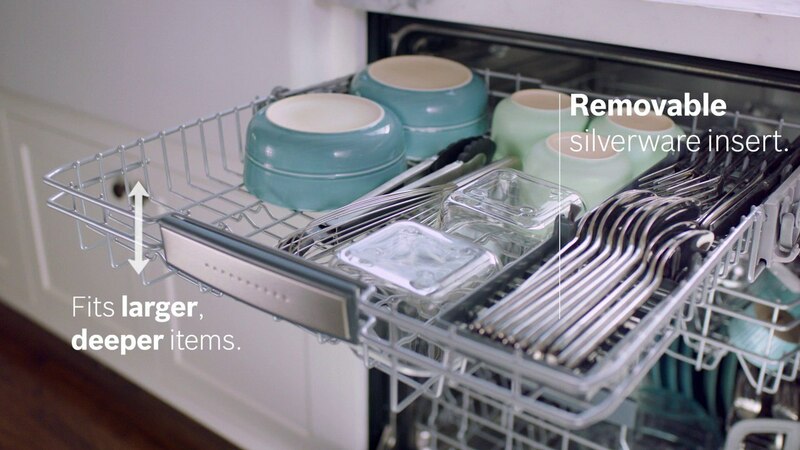 Offers the beauty and benefits of stainless steel for the dishwasher interior. It resists streaks, stains, and odors while retaining heat to help improve drying performance. Both dishwashers did a great job on soundproofing the walls. You can barely hear any sound while operating. Both dishwashers truly showed off their 39-decibel rating. Both have more cycles than you will probably use as well. The drying methods are very different. Bosch is a pure condensation dry. It uses the heat from the wash and JetDry to accelerate the drying process. KitchenAid has precision dry or another heating element. A fan also draws out the moisture of the tub with ProDry or extended ProDry options. Although they both use JetDry KitchenAid has a better system. The 3rd top rack is where Bosch really shines. The 1st versatile top rack to fit bowls, lids, and everything else. Kitchenaid can only small lids or utensils. I find this KitchenAid dishwasher can’t hold big spoons well. While Bosch has a specially made silverware insert holder for knives and utensils as part of their 3rd rack. If you have sports bottles, KitchenAid has a special series of nozzles on the top rack designed to clean the bottom of larger bottles. Both have similar reliability as well. We logged 30,761 service calls and track first-year reliability. .37% is not statistically relevant. Both rates are considered very good for a premium dishwasher. Should You Buy KitchenAid or Bosch? Both are great choices with many of the same cycles and similar features. KitchenAid is better for bottles and has technically better drying. Bosch has the better third rack. When you buy these dishwashers may be the greatest deciding factor. 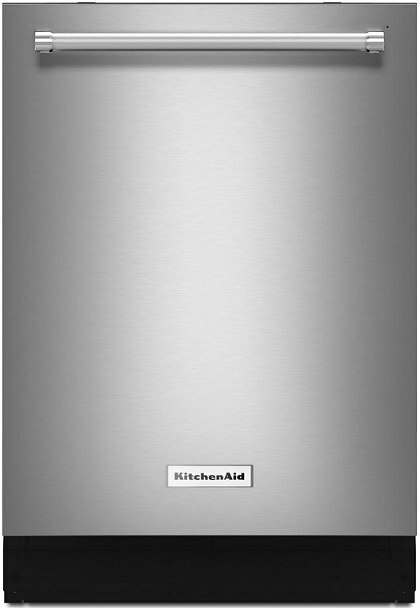 These two dishwashers are roughly equivalent, yet KitchenAid is $230 less (at this writing) with its current promotions thus making KitchenAid the recommendation. However, promotions change. When Bosch changes it will be recommended. 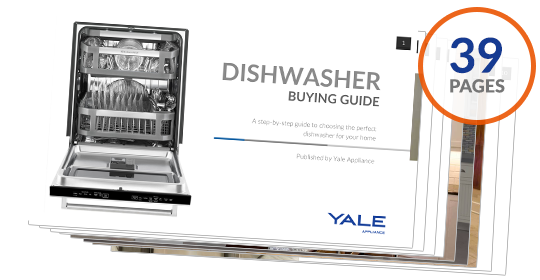 For more information about dishwashers, read the Yale Dishwasher Buying Guide with features, specs, and insider buying tips. Well over 355,000 people have read a Yale Guide.